I remember hosting elaborate Christmas Eve parties at our home each year for family and friends. We were one fo the homes that many would visit just to see the light show my father had put up. Now as my own adult, it's hard to compete and to be honest, I don't want to. Christmas has always been one of the special holidays and I still try to keep up with the same celebrations my parents once did. However, I do it on my own terms and level. If you celebrate Christmas, there is absolutely nothing like waking up Christmas morning and seeing the magic you once felt on the faces of your little ones as they gaze upon the tree filled with gifts underneath. Even as an adult I still feel like there is a special magical glow over the holiday that no one can explain. I truly believe the center part of that "glow" is the Christmas Tree. So having the perfect one is quite important to me. 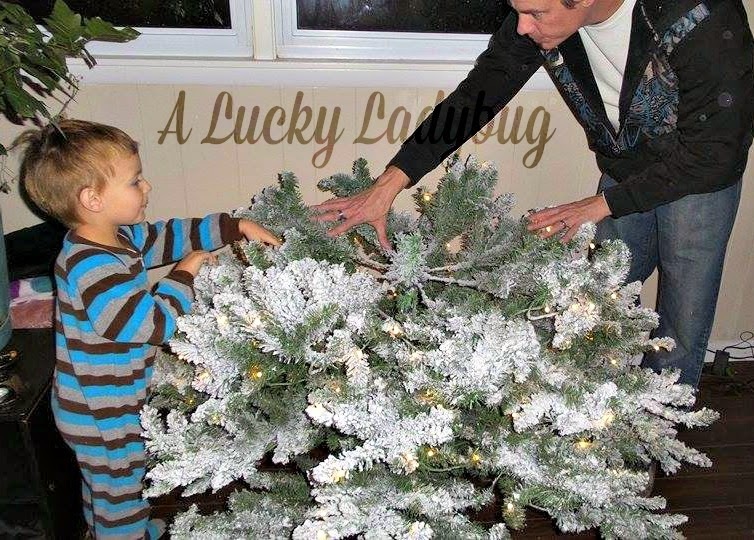 So when King of Christmas asked me to review one of their artificial Christmas trees I knew, this would be my chance to start our new home, fresh and with a tree that fits the home itself and our family. After a TON of debate and opinions from others, we decided on the King Flock 6.5 FT Pre-lit Christmas Tree. Now even though, we do not start our decorations as early as my parents and in fact usually wait until December, we couldn't wait on this one. The day it arrived, the boys wanted to work on getting it together right away!. Thankfully, this literally came in three simple pieces - Bottom of the tree, middle section, and the tree top. The hardest part was finding the cords to connect each section to power the lights throughout the tree. Went with the 6.5 Ft since our ceilings are about 8 Ft tall and we wanted a good amount of room for the topper. This beauty is 48 inches wide with 450 Clear LED lights wired throughout. And in case you were wondering there are 1348 tips on this tree design! Made with a stainless steel center pole and flame retardant PVC tips, this truly is the king of all trees. The snow filled look makes you think you are outdoors with the freshly fallen snow. While I understand there is nothing like picking your tree out specially each year, smelling the fresh pine smell in your home, and knowing your real tree is unlike anyone else's. However, you won't catch me with a live Christmas tree in my home, ever. I despise the selfishness and wastefulness that having a real one brings. Starting with the most obvious of cutting down a living tree to ultimately throwing it into the landfills after the season contributing to the worlds trash. This tree not only keeps my family's Christmas green friendly each year, it fits our unique style and decor. This tree looks majestic already and we haven't even begun hanging our ornaments up. My only complaint is that the box this is stored in is also the one it was shipped in. It is not of premium quality like mentioned on the website. But that is the only complaint and it's a small one. I love not having to spend money each year on something that is going to both end up in the trash but destroy a living part of the planet in doing so. Recommendation: This is definitely an amazing tree. Not only is this quality made that I have got to imagine it is going to last for years, it's a real beauty. The cost may seem high but definitely not when you look at other retailers. Plus, you need to remind yourself this is an investment and well worth every penny. 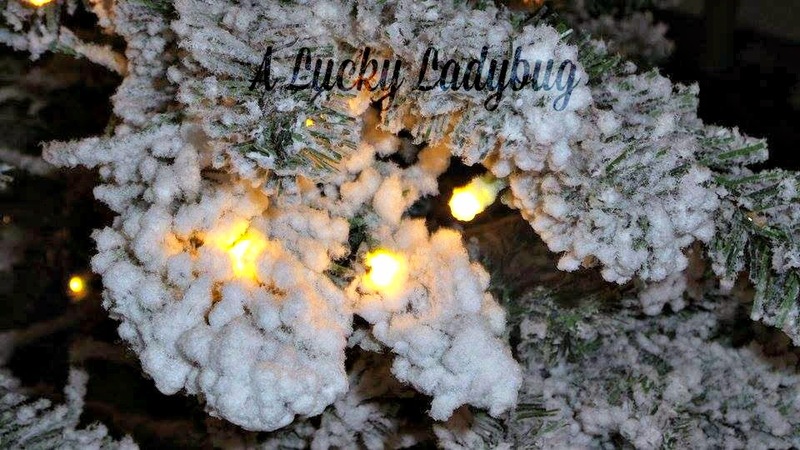 Giveaway: King of Christmas is going to give one of A Lucky Ladybug's lucky readers a King Flock 6.5 Pre-Lit Christmas Tree to have of their own! What a beautiful tree! I think it looks nicer than a fresh one. 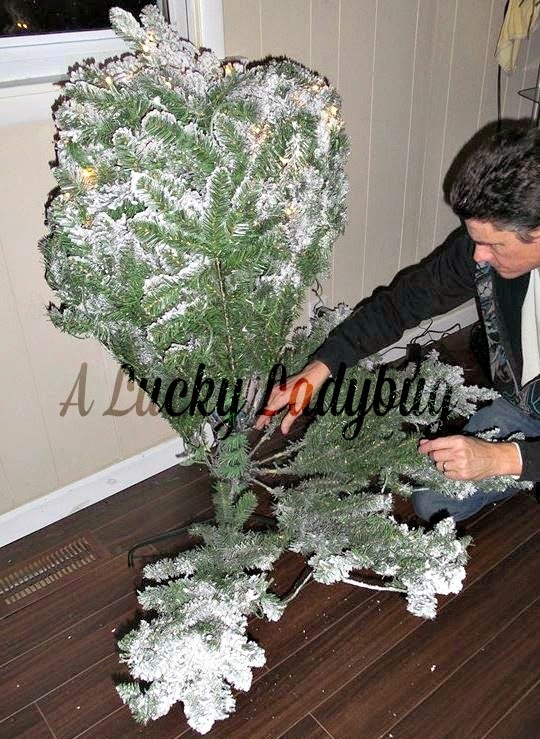 Good luck finding a real tree with 1348 tips and no bare spots! If I won, I would keep it since all the family comes to my house for Christmas anyways. I want to win it for my family. We used to have a nice fake tree we put up every year, then it started falling apart. Last year we bought a real one. But, I prefer the fake ones. I'd like to know your moms secret to getting your father to hang all those lights. My husband does the bare minimum when it comes to outside decorating. Can't say I blame him though, it's cold out there! I wouldn't want to be on a ladder in the blowing snow fighting with tangled light strings either. So kudos to your dad for going above and beyond to make your families christmas magical! Hahaha, my mother wore the pants in the relationship growing up. They don't do that many now as they are getting too old to be climbing and being crazy like that. It literally took my dad weeks working on it over the weekends and at night after work. It was insane but really cool as a child! My house was NEVER dark during the holiday. I prefer an artificial tree because there is no mess. Plus I always had trouble getting a real tree in the stand. I was checking out the king of christmas website and I love that they have tips for shaping your tree. They also have some nice ornaments and stuff for decorating. I love that it sets up so quick and easy and that its prelit which means no fighting with tangled light stings! 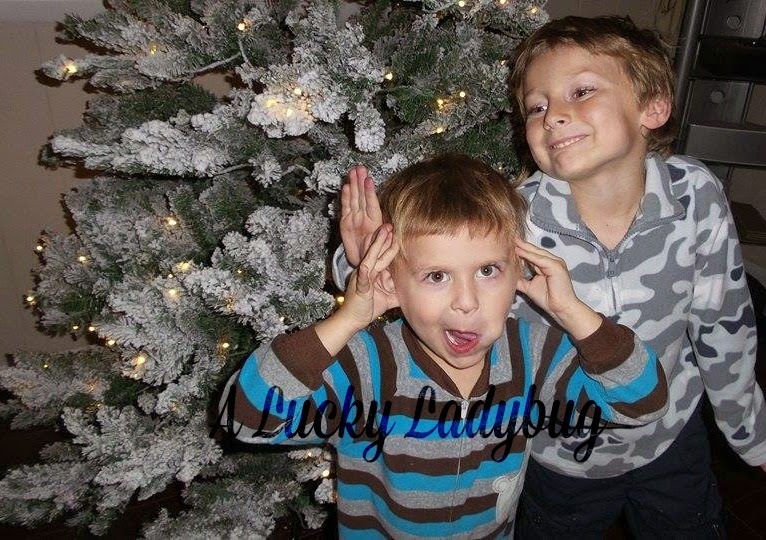 i LOVE artificial trees for my theme trees - i have a furry woodland creature theme and a pink themed one, we get a real tree for all the fun silly ornaments that we have and the kids get to decorate the real one! What a beautiful tree. We buy a tree at Walmart and it just isn't as pretty as your tree. If one light goes out they all do and so many spaces between sections. Would love to win this for our home and my great granddaughter is almost 20 months old and loves Christmas lights. I have been using the same old artificial tree for 30 years now. However, one day...if I am very nice...I hope Santa gives me a real tree. I want to win as I don't have a Christmas tree for my family home. 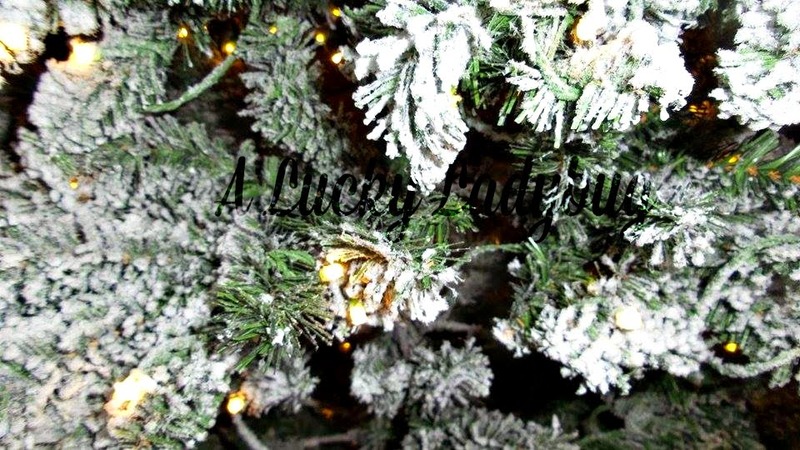 I actually prefer a fake tree because they are safer and once decorated they are just as pretty as any real tree is. i love real trees but they scare my so i have artifical tree, i dont really have a theme for my tree. In our family room, I prefer a real tree. It smells so nice! But I like to have artificial trees in other areas of the house...at the top of the stairs, in the front, etc! I want to win because this would be perfect for my friend!